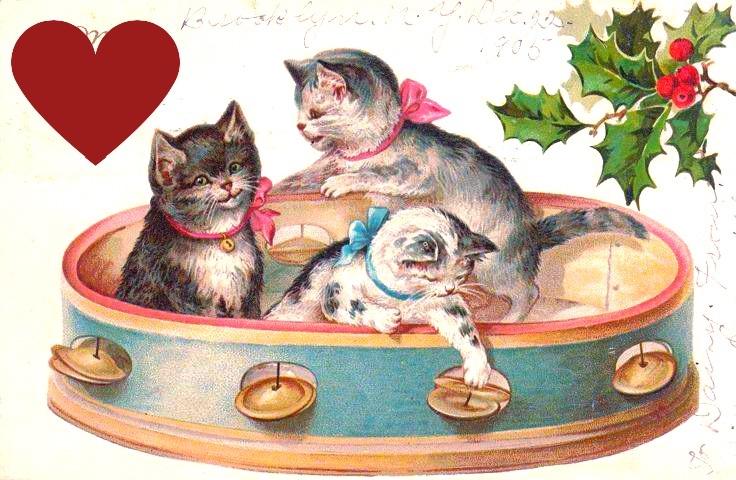 Happy December From The Purrfumery! Take 15% Off All Products! I’ve returned from my trip to New York City and whew! It was an excellent trip and I want to give a big shout out to all my New York Purrfumery friends who visited me at Perfumariē in Soho! It was wonderful to meet some of you for the first time. Thank you for coming to see me! From now until December 12th, I am offering 15% off on all Purrfumery products in honor of the holiday season. Just type SPRUCE in the discount box. 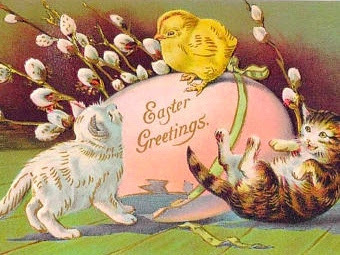 This is an excellent opportunity to share the Purrfumery with friends and family… and don’t forget about yourself! You like holiday gifts too, don’t you? 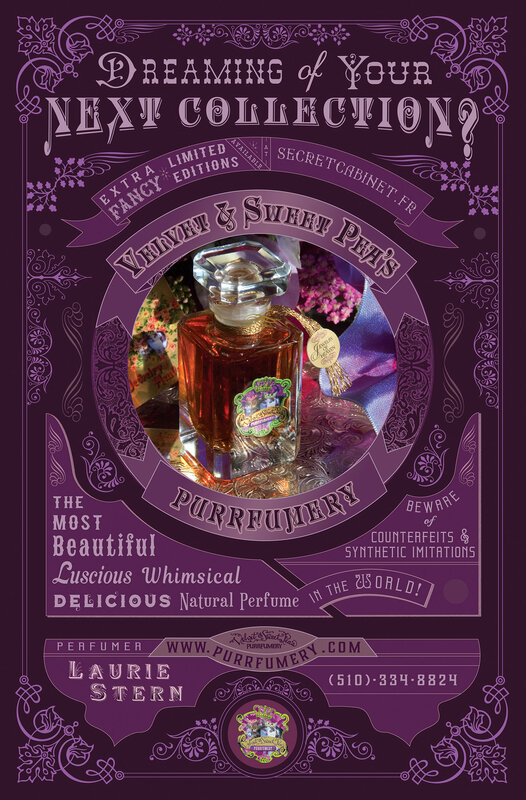 All purchases over $100 will receive a Purrfumery poster too! So much to explore! Let me know if you’d like to come over for a cup of tea to sniff and sample these or other Purrfumery treats! Call me at 510-334-8824 or email laurie@purrfumery.com. I use my beautiful antique millinery collection to package my new Limited Edition perfumes – delicate violets and leaves adorn all the pouches. 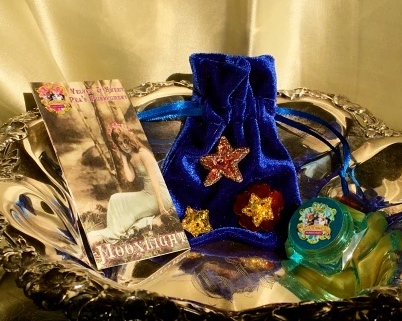 And all of these perfumes are available in my new Starlight box, as well as the sterling silver jewel box. Here we go! Flame Brocade : I worked on this for years! It is a true labor of love…and a truly limited edition – very small batch. Flame Brocade opens with the spicy warmth of antique cinnamon and black pepper and evolves into a narcotic blend of sultry frangipani and tuberose. A vanilla sandalwood base mingles with heady floral and spice notes and completes this luscious and unforgettable scent. 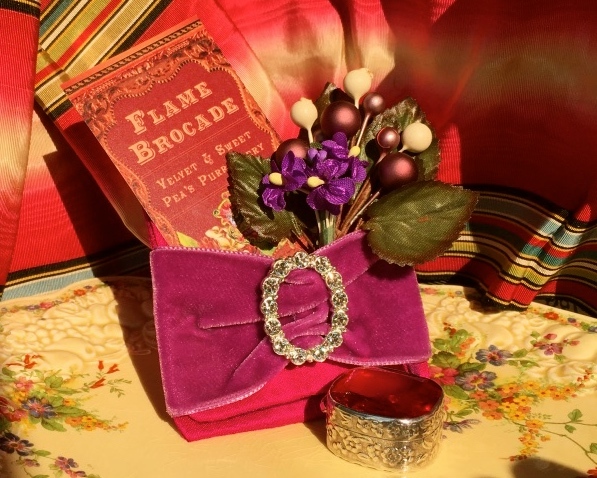 I am offering Flame Brocade in liquid and solid – all are parfum strength. Mystère Dévoilé : This perfume honors Gary, my landscape architect husband. Years ago he planted a 40-foot wall of jasmine along our driveway. In the spring and summer, our driveway is an incredible place to be – the scent from our lemon tree mingles with the gorgeous aura of jasmine. My cousins told me I should make a perfume that captures the magical, completely over-the-top scent of my driveway when everything is in bloom. Mystère Dévoilé is that perfume. “A mystery unveiled.” This perfume was my coming home after a difficult period. It’s lush and floral, and unfurls generous notes of Indian jasmine, Italian blood orange and Lisbon lemon before finding its heart in hints of fruity Chinese osmanthus and orris butter. I love this perfume and I hope you will too! Moonlight : This scent was inspired by the Orientals of the 1920s. 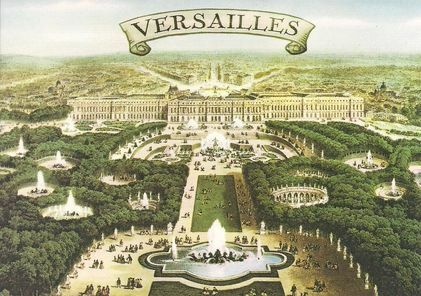 It is rich, magical and luminous, and reminds me of that incredible era of artistry and luxury. Moonlight is intensely floral, with a citrus opening and a heart set in an accord of Indian jasmine, Madagascar ylang ylang and Egyptian carnation. A base of aged patchouli and deep, gorgeous sandalwood mingles with spicy carnation notes to carry this perfume to its lavish finish. It’s warm and rich and very beautiful! Fir-ever Young solid perfume, first ever! I have made a Limited Edition of Fir-ever Young in a solid perfume for the first time ever! This is one of my best sellers and gorgeous for this season. It’s based on fir balsam, black currant buds, and jasmine. Divine. It was in Oprah Magazine a few years ago! New batch of Jewelry of Heaven solid perfume! 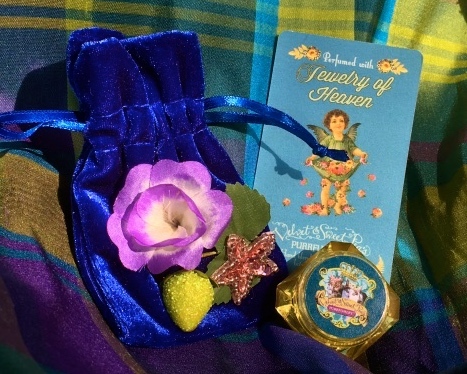 There is also a new batch of Jewelry of Heaven solid perfume, and this one is an even richer version than the original! All of these new solid perfumes are about 25% less expensive than the other solid perfumes on my website because they are not on the collectors website yet. They will be available at this price only for a limited time. Whipped Frostings back in stock, get them while they last! I just hand-blended a new batch of Whipped Frostings to help you banish dry skin this season. 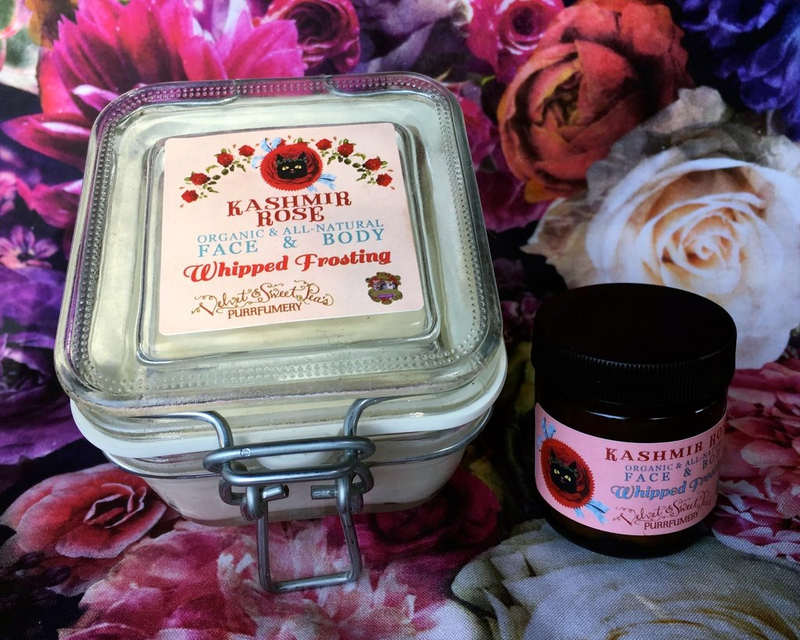 These luxuriously scented Whipped Frostings moisturize your skin with a combination of organic oils that are rich in antioxidants and high in omega-3 and omega-6 fatty acids for regenerative, anti-aging power. I love to spritz on a hydrosol first and then lock in the moisture with a frosting. We have Black Cat, Gardenia, Orange Blossom and Kashmir Rose Whipped Frostings—try them all! Life changes mean we must ebb and flow. Over the last few years, I discovered my true passion – to develop limited edition perfumes andcustom, signature scents for my Purrfumery friends. These are incredible opportunities for me – they are luscious creative journeys. And when I start these journeys, whether it’s mixing a limited edition or creating a custom scent, I need to step away for a few days, sometimes longer. That means some of my other Purrfumery tasks, like packaging and shipping, move a few days down the line. It’s all me, my dear Purrfumery friends! My staff consists of the kitties (they’re the muse, but not great at tying ribbons, only running off with them!) and Emerald my graphic designer. In 2019 there may be some weeks where I am not shipping because I am on a brief creative journey. I will always let you know on my website if there is going to be a delay. And if you have a perfume emergency (these happen – I have clients who can’t be without their Jasmine Tuberose solid, or their Rose hydrosol!) you know you can always email me and I will help you! I left for the East Coast while the fires were still burning. I was horrified to see the smoke in the air – we were scrambling to see if there was some way to protect our birds in our outdoor aviary. And I was overwhelmed by the casualties I heard about. I’m so sorry this happened, and I want to help. For the month of December, I am donating a portion of all Purrfumery purchases to help the animal victims of the Camp Fire. Hundreds of animals were injured and need homes, and shelters are working hard to help them. This relief effort will be going on for some time – I’m sure this will be the first of many donations from the Purrfumery. Happy Holidays! Wishing you great love and joy! Copyright © 2015 Velvet & Sweet Pea's Purrfumery, All rights reserved. 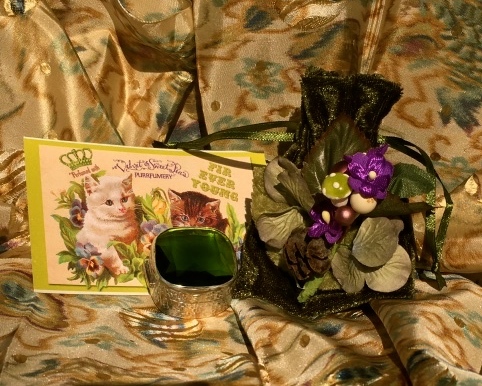 Thank you for signing up for the latest news from Velvet & Sweet Pea's Purrfumery! 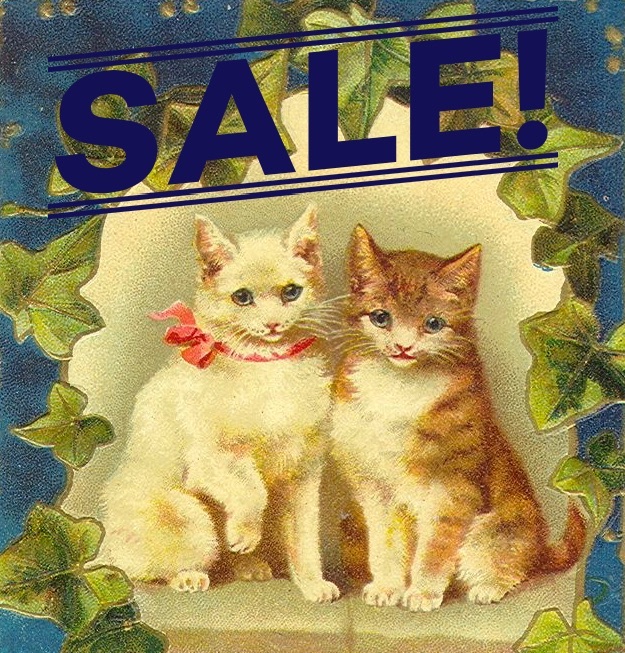 Major Summer Sale at The Purrfumery! I have returned from a glorious retreat in France that was a feast for the senses in every way. Gary and I traveled through picturesque hamlets and villages where we would wake in the morning to find fresh baguettes and croissants in the mailbox. And jam! The French are serious about their fruit jams. The highlight of the trip was our trip to the Osmotheque in Versailles, a perfume archive and museum, where I was lucky enough to get a 30-minute reservation. My heart was pounding in my chest on the cab ride through town… I had no idea what to expect of this legendary library that preserves hundreds of scents dating back to Pliny the Elder (Roman, A.D. 23–79). More on the Osmotheque later! Summer Fun! 50% off all Signature, Limited Edition, and Créme perfumes! Treat yourself or someone you love to a sumptuous summer dream! From June 6th to June 13th I am offering 50% off all Signature, Limited Edition and Crème Perfumes. 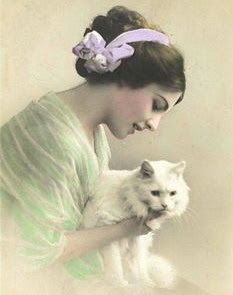 This is a rare opportunity to own the richest, most lavish natural scents the Purrfumery has to offer, while they last. Type in SummerSale in the discount box. I recommend our award-winning Fleur de Caramel, a sensual bath of warm caramel infused with rich cognac and sultry night-blooming frangipani. I shared Fleur de Caramel with the perfumers at the Osmotheque in Versailles and watched with delight as they inhaled deeply! It has always been my dream to have one of my scents in their archive, and I am thrilled to say that Fleur de Caramel is there among some of the most exquisite scents ever mixed! Also popular are my Honey, Jewelry of Heaven and Songbirdformulations – each distinct and beautiful in their own way. 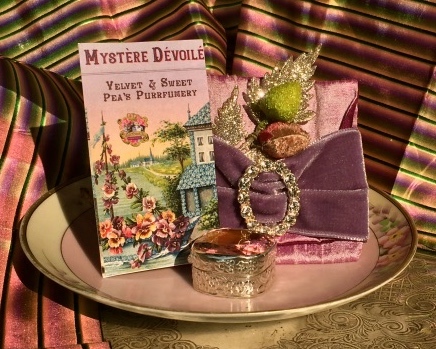 Velvet & Sweet Pea’s luscious perfumes are yours to enjoy while they last! The Purrfumery made a splashy debut at the Filoli Flower Show in May, and I unveiled two new scents there. 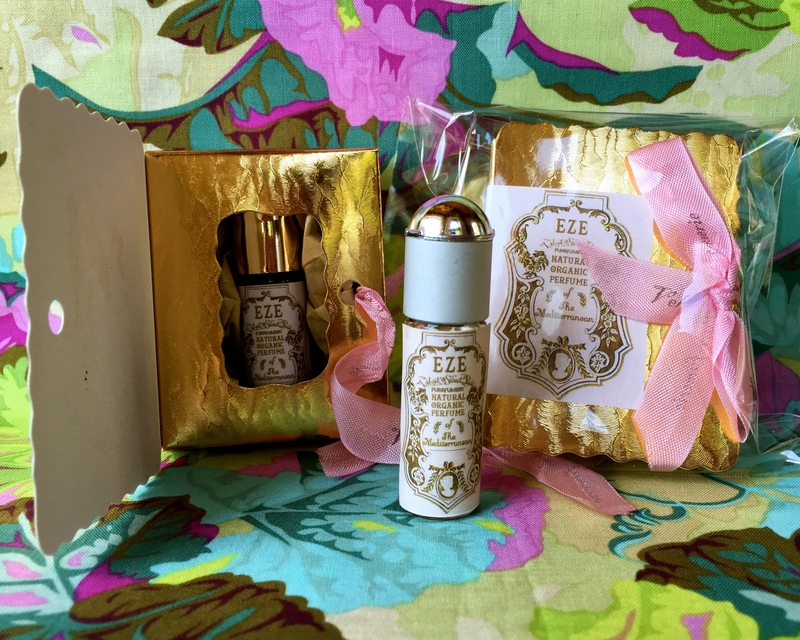 Rose Encens and Eze are the newest additions to the eau de parfum line! Rose Encens: Rose, citrus and resin essences dance in perfect harmony. Sensuous and warm, Rose Ensens opens with a deep, rich scent of rose that mingles with sweet, tart Italian blood orange and Mexican lime top notes. The mystery of sacred Frankincense resin emerges as time passes. 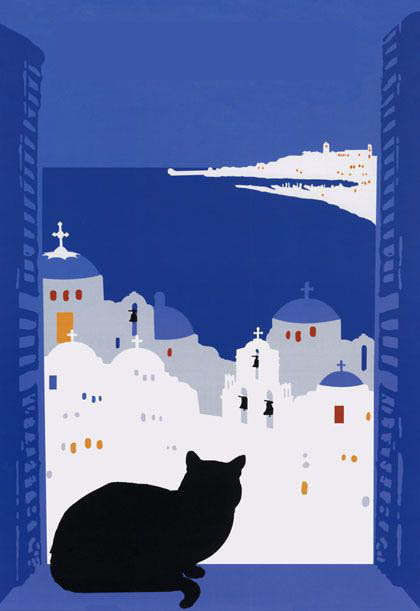 Eze: I created Eze to be the quintessential scent of the Mediterranean, as soft and relaxing as a summer breeze. Named after a magical perfume village perched along the French Riviera, Eze opens with a refreshing pop of lemon and unveils a gentle bouquet of lavender, rose geranium, myrtle and jasmine. This perfume finishes in the amber, healing warmth of Labdanum rock rose. Packaged in elegant gold book boxes with a decorative label and bow, Rose Encens and Eze make beautiful gifts for all occasions: birthdays, graduations, or as a special thank you… just because. Create your own custom perfume at the bench with me, and discover how scent can unlock the mysteries of your heart and soul. This is a rare and special offering that consists of three sessions. We start with a Perfumery Adventure where you smell aromatic materials from around the world. During your 1.5 hour visit, we will draw out the essences that surprise and delight you. I guarantee you will experience scents from the natural world that are new to your nose. During the second session we will gather several of your favorite scents and you will decide if you want to make a solid or liquid perfume. We work together at the Purrfumery bench, immersing ourselves in the alchemy of scent as we blend. Witnessing the way natural materials mingle and complement each other has captivated perfumers since ancient times! Set aside 2.5 hours for this visit. If you have trouble deciding which option to choose, I can help based on how you like to enjoy your perfumes. If you’re visiting from out of town, or have limited time in the Bay Area, we can lengthen your first appointment and make adjustments via mail. Awaken your senses and step into a completely different world! Do you want to know more about my new Signature Perfume Series, or any of our products? Or would you like to make an appointment to sip a cup of tea in the Purrfumery and sniff and sample to your heart’s content? Call me at 510-528-8040, or email me at laurie@purrfumery.com. Hope to see you at the Purrfumery sometime soon! 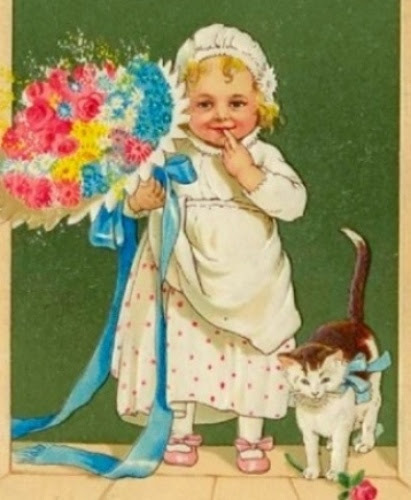 Thank you for subscribing to the latest news from Velvet & Sweet Pea's Purrfumery! From March 24 to April 1, I will be offering free shipping on all my products! This is a wonderful opportunity to try a new scent to celebrate the season, or stock up on old favorites. Just type artistkitty in discount box when checking out. Free shipping also makes it easier to send a gift to someone you love! Why not treat a beardsman friend to a jar of Mr. Whisker’s Beard Balm in Juniper & Cypress Forest, Piñon Desert or Vetiver Breeze? Velvet & Sweet Pea’s Purrfumery is taming beards across the land! Or, build a grab-bag with a whimsical Scent Locket and eau de parfum sample set for a friend in need of a pick-me-up! 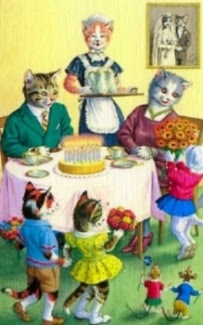 There is truly something for everyone at the Purrfumery, and if you would like suggestions, just let me know. Spread the love this spring! Ok, back to looking inward. I have planned an artist sabbatical this spring and that will mean taking a break from shipping for a few weeks. The last day of shipping will be April 8. I will resume shipping on May 2. Type in artistkitty in discount box. Place your orders early, my dear Purrfumery friends! Mother’s Day is almost here and I am looking forward to helping you celebrate the moms in your life! Plan early and take advantage of free shipping March 24 – April 1. Or, consider scheduling a Custom Perfume Adventure so Mom can design her very own signature scent. My calendar is open after May 2. I’d love to see you here at the Purrfumery for a cup of tea and scent-sniffing session! Call me at 510-528-8040 or email laurie@purrfumery.com. Or, plan a visit to the Flower Show at Filoli, an incredible historic estate in Woodside. Held May 6, 7 and 8, this show features innovative floral designs that are guaranteed to inspire! Designers, nurseries and horticulturalists come from across California to show their best work. The Purrfumery will have a booth at the show, so save the date and come see me! 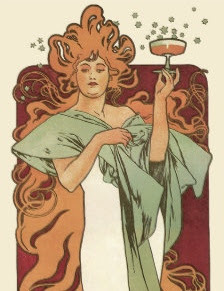 Tigerlily Perfumery Holiday Bazaar this Saturday! Stocking Stuffers Starting at $10! Tigerlily Perfumery is putting the glamour back into last-minute holiday shopping with a fabulous Holiday Bazaar from 12 to 7 on December 19 in San Francisco’s bustling Mission District. Join the Purrfumery and other Bay Area scent makers at this creative little haunt and find something special for everyone on your holiday list. 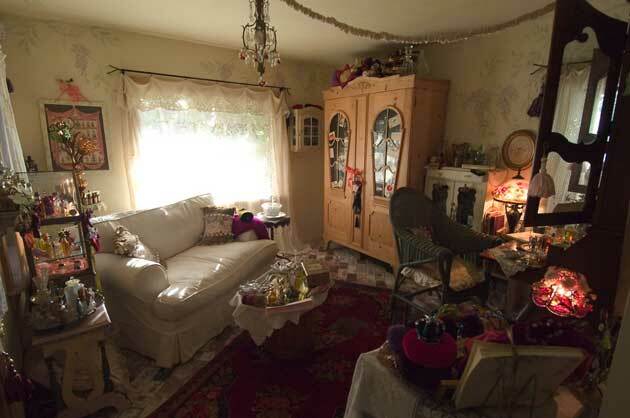 Tigerlily proprietress Antonia will be serving aromatic drinks and treats and the mood will be festive and fun. Don’t miss it! Stocking Stuffers & Small Gifts Starting at $10! They say good things come in small packages… maybe that’s why some people plunge into their Christmas stockings last! If you’re looking for stocking stuffers, or small and elegant gifts for friends and family, the Purrfumery has some great ideas for you. We have gifts starting at $10. Hydrosols: Give the gift of aromatherapy! A spritz of hydrosol lifts the spirit with its light and gentle scent. Available in Organic California Lavender and Bulgarian Rose. $10. Men’s Grooming: For the beardsmen in your life! I drew on years of perfume-making experience to create my Mr. Whisker’s Beard Balm line in these scents: Juniper & Cypress Forest; Piñon Desert; and Vetiver Breeze. Beard balms smooth the beard and moisturize the skin underneath. 10 ml sizes start at $16. Sample Sets: Tuck a sample set into your loved one’s hands and let them discover their favorite! Sample sets are available for our popular Kittylicious line, see the review below. Sample sets start at $22. Scent Charms: I fill these ornate, vintage-style lockets with tantalizing scents created in a base of vanilla-infused organic jojoba oil with beeswax from the Purrfumery’s own bees. Whether you’re at a party, work or school, or even just running errands, your favorite scent is just a touch away. Scent charms start at $28. Huge thanks to Jodi Battershell, at Fragrantica for her delightful review of my Kittylicious line! She also shares my story and commitment to helping animls and my views on alternatives to ending the torture of civets for their musk. I’d also love to share my latest review from Tammy Schuster, at CaFleureBon! I must say, it is a delicious review of Fleur de Caramel! Thank you Tammy and Micheyn! Just a few minutes ago I saw that Trish at Scent Hive has reviewed my Beard Balms on her wonderful natural beauty blog! She is using them as a hand balm! I love it! I do that too! Thank you, Trish! If you follow scenthive on Instagram, she will be doing a giveaway of one of the Beard Balms! In honor of thse new reviews I want to extend a 10% discount until this Friday, December 18th on Kittylicious perfumes and Fleur de Caramel! Type in KITTYFLEUR in the discount box at checkout! The Fleur de Caramel solid perfume is my favorite, in it’s emerald jewel box! Thank you for your amazing support, my dear Purrfumery friends! All of you are so very important to me and the kitties! A Fabulous Blowout Summer SALE! A Fabulous Summer Blowout Sale! 25% Off! This is your opportunity to stock up on your favorites, or try something completely new. Through August 10th, I am offering 25% off all perfumes and solids, a delightfully fabulous value for these rare, sumptuous natural treasures. Peruse our Signature Scents, Limited Editions, Eau de Parfums, and Crème Collection and select a scent that will complement your mood and make you feel beautiful from the inside out! Right now, I am loving Fleur de Caramel with its warm caramel accord infused with rich cognac and night-blooming frangipani. It’s complex and luscious! 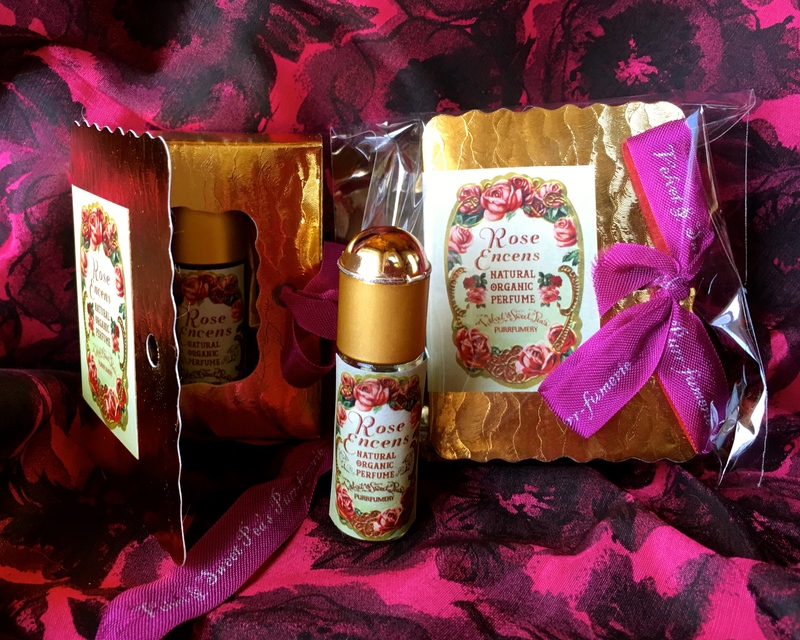 Of course, there’s Honey, always a Purrfumery favorite, with orange blossom and Moroccan and Bulgarian roses on a throne of deep vetiver, with antique clove, pomegranate and pink grapefruit… A royal, opulent scent! Treat yourself, or someone you love. Make sure to type in SUMMERLOVE in the discount box! Tell me your favorite places to shop The Purrfumery has been growing in (tiny kitty cat) leaps and bounds and I am thrilled to have several product lines at Tigerlily in San Francisco. I’d like to expand to other retailers across the Bay Area and beyond. I’d love your ideas, my dear Purrfumery friends! Please email me the names and locations of your favorite retailers—I think Velvet & Sweet Pea’s is a perfect fit for boutiques and gift shops. I’m very open minded, so share away! 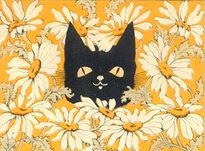 I’d also love to offer my Black Cat eau de parfum at cat cafes, animal shelters or hospitals, to help them raise money. If you know of a shelter that might be open to something like this, please let me know.